Georgia Levenson Keohane will be a CEP guest blogger from January 25 – February 5, 2010. From the 2010 vantage point, we can see that the era of ‘new’ philanthropy – big, strategic, tactical giving – was also one of historic inequality. In the U.S. the last quarter century proved a gilded age for some – the rich did get much richer – but was a period of stagnation for the middle class and lost ground for those with the lowest incomes. During this time, we mostly opted to reduce taxes (by historical standards) and deregulate any number of industries in deference to market forces. For some, this approach produced spectacular wealth, and many embraced philanthropy with the same zeal they brought to enterprise. Yet the economic cataclysm of our time – which has taken its greatest toll on the most vulnerable – compels us to re-examine the fundamental tenets of the social contract: just what kind of society do we want to live in? What is the role of government? Of markets? And can philanthropy fill in the gaps? The notion of American exceptionalism – that we do things differently here – applies to charitable giving. Throughout our history, private philanthropy has been a feature of civic life: long before the sweeping and institutional philanthropy of Rockefeller and Carnegie, Americans gave both time and alms to relieve the suffering of the poor. Today, these traditions continue. According to the General Social Survey, 71 percent of Americans belong to at least one voluntary organization, a rough gauge of civic engagement. The most recent cross-national data from the world values survey comparing membership in charitable organizations (an imperfect measure of volunteerism) shows that Americans are more than three times as likely as their European counterparts to participate in a charitable group. When it comes to giving, the difference is even more profound. According to one cross-national estimate from 2000, charitable giving in the United States was approximately $190 billion, or $691 per capita, compared to $141 in the United Kingdom and $57 for Europe as a whole. (See Alberto Alesina and Edward Glaeser, Fighting Poverty in the U.S. and Europe). In 2006, data from the Charities Aid Foundation show that philanthropy in the United States represented 1.7 percent of GDP followed by the U.K. at .73 percent. Germany was .22 percent and France .14 percent. This isn’t reason to crow about superior American generosity (though, by any measure, we are highly altruistic): rather, it reveals a fundamentally different approach to social welfare. Generally speaking, European countries provide greater public social welfare than the United States, which relies more heavily on its private delivery. In Europe and the U.K., this typically means higher redistributive taxes for more government programs and services (e.g., universal healthcare), and as a result, fewer dollars available for philanthropy; in the U.S. it means lower taxes, smaller government, more privatization of social services (e.g. employer and private insurer based healthcare, nonprofit activity) and higher levels of charitable giving. It is worth noting that in recent years, as financial deregulation in the U.K. has led to greater prominence of hedge funds and financial services generally, British philanthropy – in amounts and style (see Absolute Return for Kids or Children’s Investment Fund Foundation) – more closely resembles that of its American cousin. Now that the U.K. is attempting to rein in (read, tax) elements of the financial services sector its government deems ‘socially useless,’ we may see a concomitant drop in charitable giving. The question of which system works better – which is more efficient in ensuring social welfare – is empirically complex, ideologically fraught, and beyond the scope of this post. If the U.S. bested Europe on income inequality (it does not), or on the various measures of the UNDP Human Development indices (it ranks 13th), it would be an easier one to answer. In the aftermath of the financial crisis, what exactly is the proper size and scope of government? How do we harness – and regulate – markets? Should we expect private philanthropy to plug the social welfare holes when states and markets fail? It is fair to say that even at 1.7 percent of GDP, private philanthropy cannot – and should not – provide our entire social safety net. With official unemployment over 10percent – and the budgets of state governments busted – it has been billions of dollars in federal stimulus, not private charity alone, keeping millions out of poverty in this recession. While thousands of social service agencies have valiantly scrambled to meet rising human needs, federal intervention – emergency unemployment insurance, tax credits, an increase in food stamps, and cash payments for retirees, veterans, and people with disabilities – has been necessary to keep people afloat. Even in the best of times, less than one-third of American philanthropic dollars goes to help the poor. This level of funding is not enough to help those harmed by the downturn, neither is it sufficient to meet ongoing social and economic needs once the economy has stabilized. Private charitable giving cannot stand in for our collective responsibility for social welfare, nor for market solutions to social needs – which begin, we hope soon, with jobs. We have made important gains in our understanding of what makes for effective philanthropy – both the role foundations can play alongside their nonprofit, public and private sector partners, and ways in which they can improve and measure impact in the social sector. We know, for example, that philanthropic dollars are particularly vital when it comes to risk – to incenting investment in things like vaccines when the markets fail to do so, or piloting anti-poverty programs that may be too politically controversial to attract public funds. We also know that foundations must hold grantees accountable for performance, while evaluating their own successes and failures. Yet even the smartest philanthropy is no substitute for well functioning states and markets. If we have learned anything from the economic crisis, it is that our system of social welfare may require some recalibration. 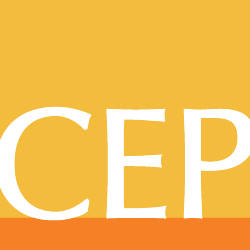 Disclaimers and Disclosures: The views expressed in the CEP blog by guest bloggers are entirely their own and do not necessarily reflect the opinions of the Center for Effective Philanthropy.